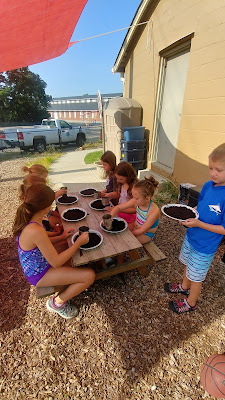 Natural Start Preschool members make mud pies for butterflies. It’s encouraging to see the number of pollinator gardens around the city for bees and butterflies. 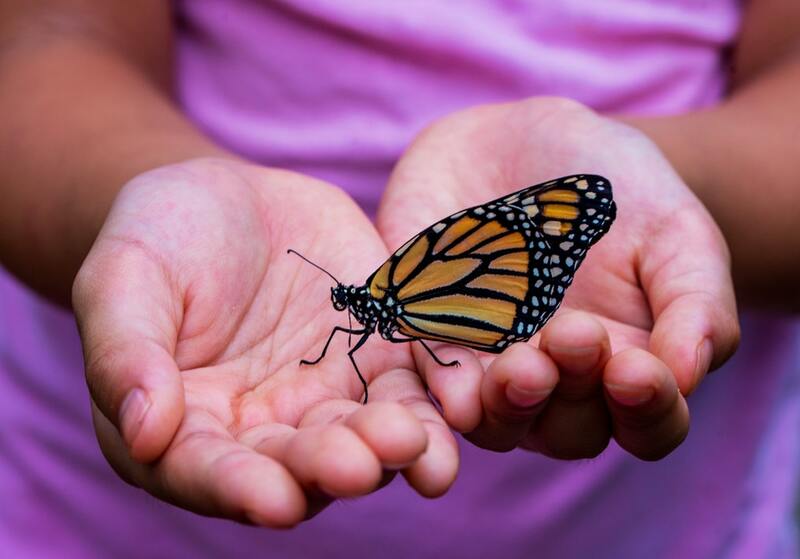 But there is something else that we can do to nurture butterflies and you can learn all about it at a family friendly activity at the Farmer’s Market July 18 in Tower Park. And that is making a mud pie for butterflies. But it’s a bit more than just wet dirt. It really is a sight to see a swarm of butterflies in the garden. She goes on to say, “The goal is to create a substitute mud puddle for puddling butterflies. Puddling happens when young males search out salt and other nutrients from wet spots or puddles on the ground. They collect the salt which is necessary as a ‘nuptial gift’ to insure the female butterfly has enough salt to create the eggs for the next generation.” A number of butterflies are listed as endangered so they could use a little boost from us. She, Trisha Schroeder, and Kelsey Stratton of the Conservancy and Katie Wefer Cook of the Natural Start Preschool will guide children and their families in making a mud pie for the garden. It’s free and fun. Jolley says, “We will supply foil pie pans, mud, sugar, salt water and assistance. A written instruction sheet will be handed out along with additional information for fine tuning your project.” So bring the kids and have some fun making something wonderful for the garden.